Home > Laptops > HP Laptop Computers > HP ProBook 650 G3 15.6"
HP ProBook 650 G3 15.6” Laptops deliver the most value to the Small to Medium Size Businesses (SMBs) that depend on them through their top tier security and productivity features along with backwards compatibility with legacy infrastructure investments! Built to give mobile business users a highly affordable laptop option without sacrificing power the HP ProBook 650 G3 is powered by Intel Core i5 and i7 processors, DDR4 memory upgradable to 16GB, and storage options for SSD, SATA, and M.2 drives. Security feature rich the ProBook 650 G3 also includes ways to protect your end user data such as HP Secure Erase, TPM 2.0, and HP BIOSphere Gen3 for the best in business protection. 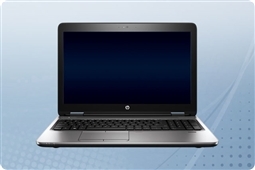 All of our HP ProBook G3 laptop models also include a DVD-RW optical drive, optional serial port, and RJ-45 Ethernet port to ensure businesses can move forward with the latest and greatest features while still integrating with legacy systems! Aventis Systems is happy to offer all of our HP ProBook 650 G3 notebooks with a 1 Year Essentials comprehensive hardware replacement warranty. In addition, upgrades to Express NBD parts replacement, Extended term, and Secure Drive hard drive retention warranties are available for more support. So shop our models below and get your company the best balance between the latest features and backward compatibility with the HP ProBook 650 G3 today!